We’ve already heard plenty of blue-sky talk about field trials of high-speed next-generation mobile networks, especially in the Far East, but the latest word from Japan suggests real-world applications are right around the corner. 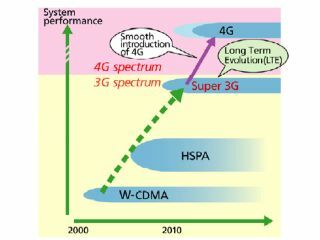 NTT DoCoMo’s Super 3G system appears ready for prime time after the latest tests in Japan pushed mobile phone downloads to 250Mbit/s and brought the projected completion date forward to next year. The wireless giant plans to launch a Super 3G network soon after that using the already-3GPP-ratified standards based on HSDPA and HSUPA on a W-CDMA network. Details are due to be released next month at CTIA Wireless 2008 in Las Vegas, bringing mobile ultra broadband one step closer to all our pockets.